Bengt Forsberg studied at the Gothenburg School of Music and Musicology, where he first majored in organ, receiving his soloist’s diploma as pianist in 1978. He went on to continue his training with Peter Feuchtwanger in London and Herman D. Koppel in Copenhagen. Much of Forsberg’s renown is focused on his work as a chamber musician, both in Sweden and abroad. Among his regular partners are prominent instrumentalists such as the cellist Mats Lidström and the violinist Nils-Erik Sparf. His collaboration with the mezzo-soprano Anne Sofie von Otter has been particularly successful and they regularly perform all over the world. They have also made many joint recordings, which have received great international acclaim, including a Grammy Award for Best Classical Solo Vocal Album. Bengt Forsberg also appears as a soloist with orchestra, and has performed with all the major Swedish symphony orchestras, as well as a number of international ones. His repertoire is exceptionally wide and he has become particularly renowned for playing unknown music by well-known composers as well as for exploring lesser-known and unjustly neglected composers, such as Medtner, Korngold, Alkan, Chabrier and Percy Grainger. He is also the music director of a well-regarded chamber music series in Stockholm. 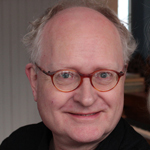 Bengt Forsberg has been a member of the Royal Swedish Academy of Music since 1997.